Article | What Is Reach Compliance? The European REACH Regulation came into force on June 1, 2007, and affects not only all sectors of the wider chemical industry, but also sectors of industry where chemical products are used. Chemical substance manufacturers and many importers of chemical substances may be familiar with the need to comply with European chemical regulations, but REACH demands compliance from all entities in the EU, whether producing, importing or using chemical substances, formulated products or final articles and also requires all users along a product supply chain to comply with and pass on any hazard communication and recommendations for safe handling and use. It therefore applies to everyone! REACH regulation applies. REACH applies in every EU Member State and in many of the EEA states and compliance is overseen by the European Chemicals Agency (ECHA) situated in Helsinki, Finland. Companies falling into the definition of ‘Manufacturer’ or ‘Importer’ are obligated to conduct registration for any substance manufactured or imported at or above one tonne per year, although an Importer can be relieved of any obligation if a non-EU supplier appoints an ‘Only Representative’. A ‘Downstream User’ (DU) has no obligation for registration but does have obligations to ensure that information is passed up and down the supply chain and must ensure, to the best of its ability, that its use of a substance or product is adequately covered by the registration of the upstream supplier. This is something that is often not well understood. The regulation requires chemical substances supplied at above one tonne per year to be registered. 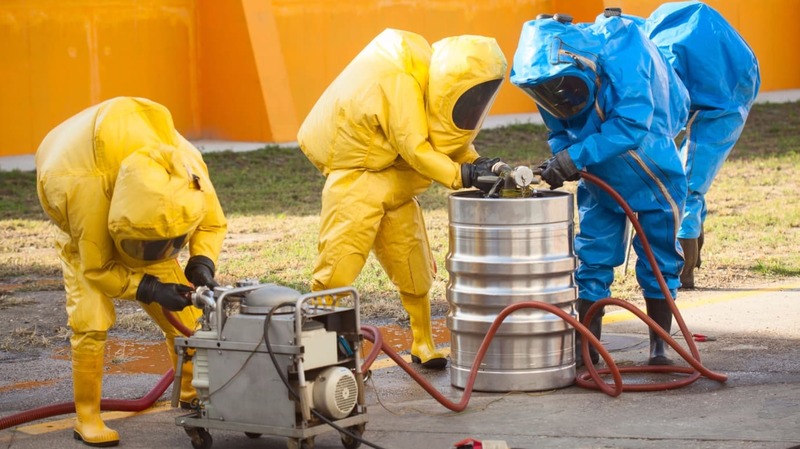 Those chemicals considered to represent the greatest hazard will be subject to evaluation and the most dangerous will be subject to authorisation, with possible restrictions on use. REACH is very wide in its scope, covering all substances manufactured, imported and supplied, including constituents of polymers (although not the polymers themselves) and intermediates, either on their own, in a preparation or in an article, unless they are radioactive, subject to customs supervision or are non-isolated intermediates. Waste is specifically exempt, as is food, but where waste is recycled or reprocessed and further supplied, the regulation applies to the recycled or reprocessed substance or product. Member States can exempt substances used in the interests of defence. Some other substances may also be exempt from parts of REACH and any substance regulated by other EU legislation, such as biocidal and plant protection active ingredients. Substances listed on the EINECS or NLP inventories are referred to as ‘Phase-in’ (e.g. existing) substances and may be subject to postponed registration, depending on supply volume and hazard. All other substances are ‘Non phase-in’ substances. Special provisions do, however, apply to substances listed on the ELINCS inventory for those entities that previously conducted notification. Any new substance, e.g. never before marketed in Europe, or substances listed on ELINCS but supplied by an entity not previously responsible for notification, must undergo immediate registration and supply can proceed three weeks after the registration date, unless ECHA advises that the registration is incomplete. The registration of substances is achieved by the submission of a technical dossier prepared in the designated electronic format including details of the ‘supported uses’ of the substance and supported by appropriate chemical, toxicological and environmental data on the substance on which substance classification and labelling is based. In addition to the technical dossier, the registrant must provide a Chemical Safety Assessment (CSA) and Chemical Safety Report (CSR) to summarise the hazard, determine the ‘safe’ exposure levels, by means of Exposure Scenarios for each of the ‘supported uses’, taking account of the Derived No Effect Levels (DNELs) to humans, the Predicted No Effect Concentrations (PNECs) to the environment and all Risk Management Measures (RMMs)to remove, avoid or minimise?exposure of the substance to humans and the environment, and finally determine the Risk Characterisation. The RMMs identified in a CSA will mostly complement the risk management already required under other legislative frameworks, such as the EU Chemicals Agent Directive (CAD) or the Directive on Integrated Pollution Prevention and Control (IPPC). Information collected and analysed under other frameworks is one source of information to compile RMMs and operational conditions for exposure scenarios under REACH: e.g. guidance documents worked out by the European Agencies in Bilbao (CAD) and Sevilla (IPPC) or by national authorities (e.g. COSHH Essentials by the UK HSE or TRGs by the German BAuA). Where a DU’s particular pattern of use is not covered by the registrant, the affected DU(s) will need to choose either to not use a substance or products containing that substance, for the unsupported use or take steps to independently support a use pattern. This will involve preparing a suitable CSA and Exposure Scenario for each unsupported use. The determination of appropriate conditions to control risk, including evaluation of their effectiveness, is part of the Exposure Scenario generation process. In many cases, current operational conditions and risk management practice may already ensure control of risk, and communication between the registrant and DUs can be essential, as the registrant will need to demonstrate adequate controls in the CSR and communicate the appropriate RMMs and related operational conditions downstream. In other cases, the manufacturer will be unable to demonstrate control of risk based on current practice in the supply chain. In such cases, it is necessary to i) identify and recommend RMMs or ii) identify and recommend changes in the operational conditions or iii) advise against certain uses. In general, it is the preference of ECHA that exposure is reduced to safe levels or removed entirely by the various RMMs other than PPE, and often many of these RMMs are well practised and exercised simultaneously. This notwithstanding, there is often still a definite need for PPE which should be appropriate to the handling and use. Typical minimum standards may be EN13034 for body protection, EN374 for hand protection, EN149 for respiratory protection from particulates and EN166 for face/eye protection. It is, nevertheless, essential that PPE is to a standard appropriate to the properties of the substance or product and the circumstances of handling and use. It is also essential that sites are equipped with facilities for emergency treatment, such as emergency showers or eye wash stations. REACH provides for three different evaluation processes, namely the compliance check, the examination of testing proposals (these two are called dossier evaluation) and the substance evaluation. Dossier evaluation is conducted by ECHA, whereas substance evaluation is the responsibility of the Member State Competent Authorities. The same decision making process is used for dossier and substance evaluation. These criteria cover both hazard (intrinsic properties) and exposure aspects and the general risk-based approach suggests that both elements should be taken into consideration when selecting substances for evaluation. It is expected that over time on the basis of experience, the criteria will be further developed and refined, with the possibility of a shift towards a different emphasis on certain groups of substances, hazard properties or exposure patterns. "work is now ongoing to develop the registration of existing chemicals being supplied between 100 and 1,000 tonnes per year"
It is estimated that around 25% of all substances subject to evaluation will be subject to authorisation. These substances of very high concern will have to be authorised by ECHA before being used for specific purposes which have been demonstrated to present a negligible risk. Particular uses of very high concern substances will be authorised on the basis of a risk assessment covering all stages of the life-cycle for that particular use submitted by industry, including its ultimate disposal. ECHA can also take into account socio-economic factors in deciding if the use of the substance can be authorised in the EU. Applications can be made by registrants and DUs. The compromise text requires authorisations to be subject to time-limited review. It also gives greater emphasis to the principle of substituting the most hazardous substances with less hazardous substances. Therefore, applications for authorisation have to be accompanied by an analysis of possible alternatives with their risks and the technical and economic feasibility of substitution. Substances that may be subject to authorisation will be listed on the ‘Candidate List’. In cases where an authorisation application is not accepted, or for substances that are considered to pose an unacceptable risk to human health or the environment, REACH has introduced a restriction process to regulate the manufacture, placing on the market or use of such substances. The restriction is designed as a ‘safety net’ to manage risks that are not addressed by the other REACH processes. Any substance on its own, in a preparation or in an article may be subject to a restriction if it is demonstrated that risks need to be addressed on a Community-wide basis. A restriction dossier needs to justify that the proposed restriction is the most appropriate risk management measure to address these risks. Such dossiers would typically be prepared by Member States or by ECHA on request of the EU Commission. This means that in the future, and as a direct result of REACH, substances that may have been in use for many years in the EU could be phased out of use, which could have a multitude of knock on effects to products that industry has a long history of using. The first deadline for the registration of phase in substances elapsed at the end of November 2010. This included substances produced and supplied in excess of 1,000 tonnes per year, plus those known to be the most hazardous to human health or the environment. This involved the submission of some 26,675 registration dossiers in support of just 4,300 substances, of which 3,400 were considered to be ‘existing’ chemicals in Europe. This gives an idea of the sheer scale of the regulation, particularly considering that there are some 33,000 chemical substances listed on EINECS alone. As a result, DUs can expect to start seeing new classification and labelling being applied to substances and products, many of which they might have been using for a long period. This may well introduce the requirement for new worker exposure and site assessments, with a whole new raft of RMMs needed for products that workers have been handling possibly without the need for PPE previously. Work is now ongoing to develop the registration of existing chemicals being supplied between 100 and 1,000 tonnes per year, which is expected to involve around 8,000 existing chemicals which, on the experience of 2010, could generate around 50,000 registration dossiers. If not already done, it is essential to develop a good understanding of what chemical substances and products are introduced to your site with a basic understanding of, at least, the previous two or three steps in the supply chain. It is also essential to understand the position of your company in that supply chain. Chemical substance manufacturers often have a good understanding of their obligations under REACH and many are already involved in the regulation. It is, however, often less obvious for actors further downstream that use chemicals or chemical formulations either as they are received or to produce new products. Where products are being supplied from outside the EU, it is possible that a company supposing itself to be a DU is suddenly an Importer with a registration obligation for a substance or substances contained in a formulated product. Similarly, it is essential to understand the processes involved in the business. For example, in situations where chemicals are purchased to be mixed, and that mixing process propagates a chemical reaction resulting in a new species or reaction mixture, it is possible that a company initially considered a DU becomes a Manufacturer and has a registration obligation. Even where registration obligations do not exist, it is essential that all users of chemical substances and products are aware of the effects of REACH and understand that ways in which REACH may have an effect on the hazard communication being received, resulting in changes to the hazard communication being passed downstream and, in some cases, changes to or even removal of products being used as restrictions start to take hold. Finally, talk to upstream suppliers and ensure that your company’s uses of a product are being covered. If in any doubt of the implications of REACH, seek advice.